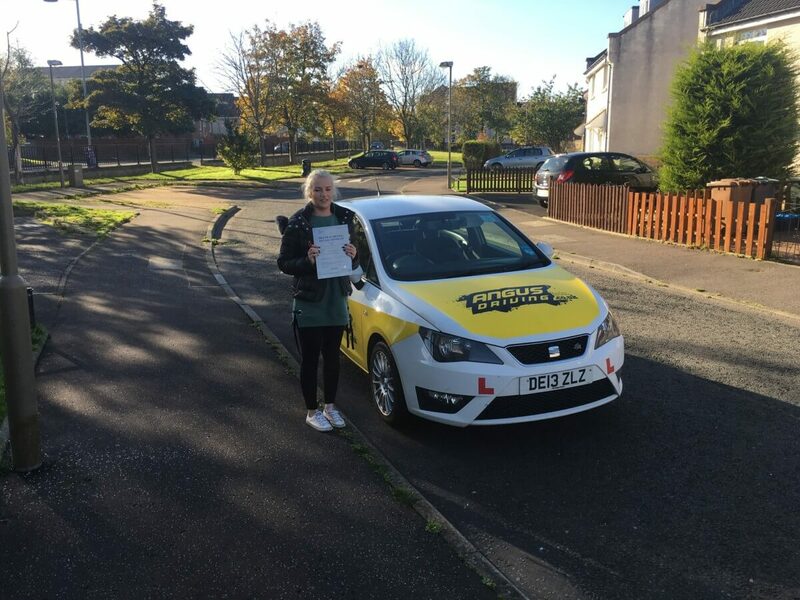 Shanel began driving lessons in 2015 having never driven a car before we started from the very beginning. Shanel progressed steadily and not before long we were taking on the challenges of Calder road in Edinburgh with a selection roundabouts including multiple lane roundabouts and spiral roundabouts. Towards the end of 2015 Shanel took a break from driving lessons focusing on her new job at Amazon. In the summer of 2017 Shanel got back in touch to say she would like to see it through to the end. We got straight back into lessons and Shanel was also getting to practise with her dad in between driving lessons which was great. We lined up a test for the end of October and Shanel managed to pass with compliments from the examiner.